I have always struggled with thick frizzy hair. Lions mane and Mop head have been two words that my hair has been compared to. Its a love hate relationship. Some days I love how thick and full it is and I can do any sort of style with it and it holds. But other days I hate that it takes so long to flat iron, blow dry and style. When I get it cut hair stylists love it. They comment about how they love the thickness and always recommend products to help with frizziness. I have tried product recommendations that at first work great. Oddly enough my hair seems to become immune to the defense of the product and it no longer works as it once did. Its crazy! I have done some reading about a few natural oils from nuts and seeds and wanted to try out some new products. I have the greatest flat iron that I got from Flat Iron Experts so I searched their site to see what types of shampoos and conditioners they carry. I found the Macadamia Natural Oil Hair Care line and new I had to try it. I have heard that Macadamia oil was really good for smoothing hair and controlling frizziness. The Macadamia Natural Oil line contains macadamia oil and Argan oil to make a awesome product. I just recently stared to use Argan oil directly on my hair after flat ironing with great results. I was happy to see it was in the Shampoo and Conditioner from Macadamia hair care. 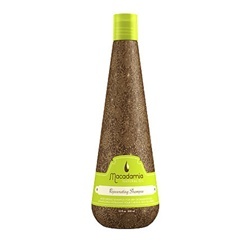 The Macadamia Natural Oil Rejuvenating Shampoo I tried was wonderful. It washed my hair but did not strip it. Some shampoos I have tried damage my hair by the harsh chemicals in them. This shampoo felt light weight and a clean but still soft feeling to it. 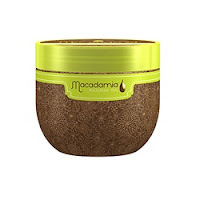 The Macadamia Natural Oil Deep Repair Mask is amazing! Its a conditioner that you apply a few times a week to rehydrate your hair. My dry thick frizzy heat styled hair soaked up all the natural oil goodness for awesome soft shiny locks. I was truly impressed with the huge transformation my hair took after only a little less than a week of using the products. Even when I did not wash it for a day it was still soft and silky. 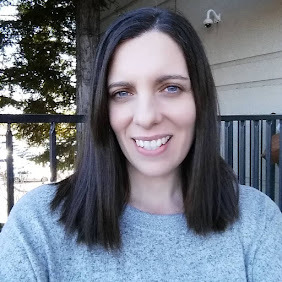 My hair is smoother and it lays flatter. Its awesome! My hair smells awesome too. 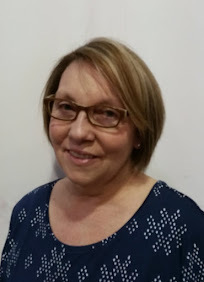 As a migraine suffer I have to be careful of heavily scented products and the Macadamia Oil products were a very light mellow pleasant scent. Its even much easier to flat iron my hair since its smoother and not so fluffy. I would recommend trying this Shampoo and Conditioner if you have dry or damaged hair like mine. It made a big difference. Macadamia Natural Oil also makes a few other products like the leave in conditioner and a heat oil spray that I would love to try too. *Limited to US residents; 18 years old and above. Giveaway starts December 10, 2011 and ends on December 17, 2011 at midnight PST. Winner will be emailed and has 48 hours to respond before another winner is selected. I was not paid for this giveaway or post. The opinions on this item are 100% mine and may vary from others. The sponsor is responsible for providing the prize. The Marilyn Brush - Double S Pro Brush (Large) looks very nice! I follow Flat Iron Experts on Facebook under the username likwan. I follow Flat Iron Experts on Twitter under the username likwan. I shared this giveaway on Facebook at http://www.facebook.com/likwan/posts/109325702520613. I tweeted about this giveaway on Twitter at https://twitter.com/#!/likwan/status/148316662364520448.